The DJ from Kent who felt compelled to hang up his headphones to run an animal welfare charity. A255 Kent eastbound severe accident, between B2052 College Road and A256 Westwood Road. A255 Kent - A255 St Peter's Road in Margate closed and queuing traffic eastbound between Animal Hospital Double Roundabouts and the A256 Westwood Road junction, because of an accident and flooding. A Government minister has criticised the security company G4S for refusing to take patients to hospices in Kent as part of their £90m NHS contract to provide non-emergency transport. The company argues that hospice care is not provided by the NHS so does not fall within their remit. Greg Clark, the MP for Tunbridge Wells, says the transport company should show some compassion. Video caption: A Government minister has criticised the security company G4S over its hospice decision.A Government minister has criticised the security company G4S over its hospice decision. M2 Kent eastbound severe accident, between J4 for A278 and J5 for A249 Sittingbourne. M2 Kent - Slow traffic on M2 coastbound between J4, A278 (Gillingham) and J5, A249 (Sittingbourne), because of an accident. All lanes have been re-opened. Derek Gane was found at the roadside in Aylesford earlier this month, suffering horrific injuries. Three days later, his wife, Anita, had to turn off his life support machine. She's now asking anyone who saw him around the time of his death to contact the police. The 69-year-old was discovered by a member of the public next to the footbridge that crosses the M20 from Teapot Lane to Aylesford Railway Station on Monday 14 August. Police have released a CCTV image of him on the day he was found. Anita Gane is appealing for information from anyone who might know what caused his injuries. M25 Surrey - One lane closed and heavy traffic on M25 anticlockwise between J6, A22 (Godstone) and J5 M26, because of a broken down car. It's the largest Wetherspoons pub in Britain and it's about to open in Ramsgate. 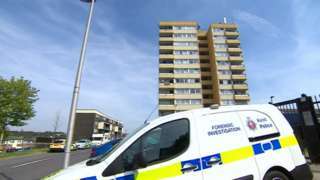 The body of 29-year-old James O'Rourke was found in a block of flats. A community wardrobe has been set up in Sittingbourne to help parents struggling with the costs of school uniform. M25 Surrey - One lane closed and queuing traffic on M25 anticlockwise between J6, A22 (Godstone) and J5 M26, because of a broken down vehicle. M25 Kent both ways severe disruption, between J5 for M26 and J6 for A22. M25 Kent - Stationary traffic on M25 in both directions between J5 M26 and J6, A22 (Godstone), because of all traffic being temporarily held and a police incident. A young man is still facing deportation to Afghanistan, despite the captain of the plane he was put on board refusing to take off. It's reported the pilot wouldn't leave Heathrow, after Samim Bigzad became hysterical. A2 Kent both ways severe accident, between Dully Road and Claxfield Road. A2 Kent - Slow traffic on A2 London Road in both directions in Bapchild between the Dully Road junction and the Claxfield Road junction, because of an accident involving van and a cyclist earlier on. All lanes have been re-opened.